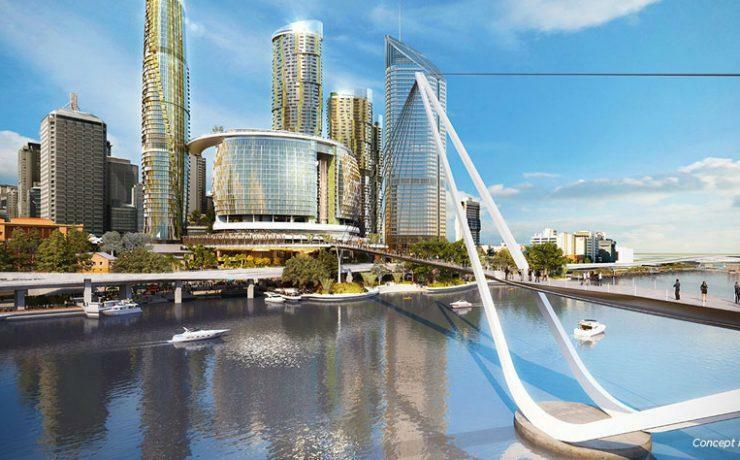 Geotechnical drilling is now under way to inform the design of a pedestrian bridge at Queen's Wharf Brisbane in Australia. 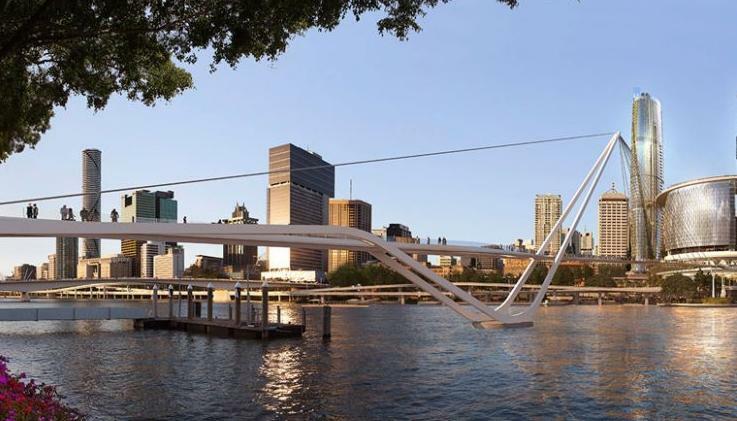 Grimshaw is leading the design of the Neville Bonner Bridge, which will connect the South Bank arts and cultural zone and the future Queen’s Wharf Brisbane precinct. Bore holes will be drilled this month from a barge working in the Brisbane River near the central pier and the northern abutment.